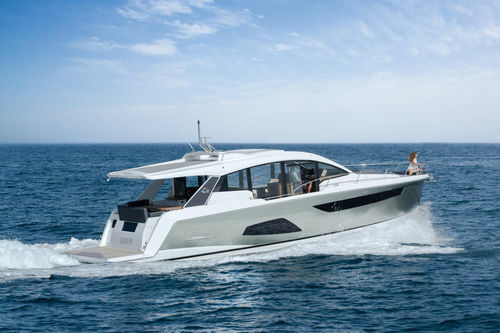 Enjoy the benefits of having a cabriolet - with the new Sealine C530! Two electrical sun-roofs, a panoramic view in the saloon and a top speed of 34 knots are just a view features that make this motor yacht irresistible. Space, air and light follow you wherever you are on this boat. A large pool deck with an integrated BBQ and three double bed cabins below amplify the impression of living on a loft at sea.